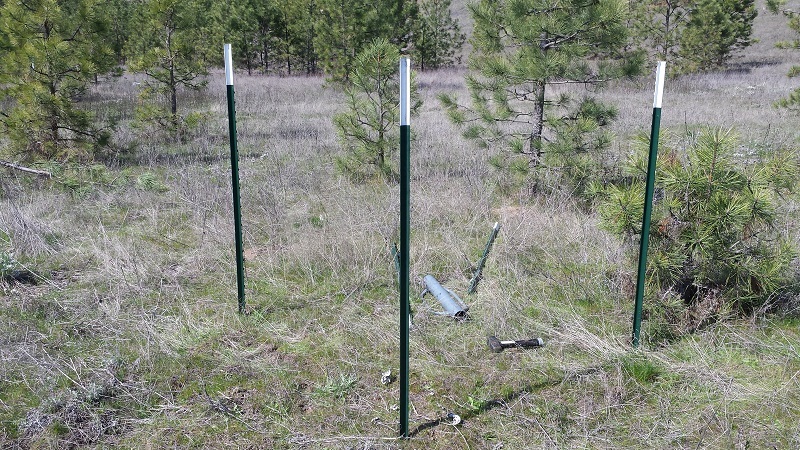 An inevitable part of homesteading is fencing. If you aren’t putting it up, you’re repairing, upgrading or tearing it down. 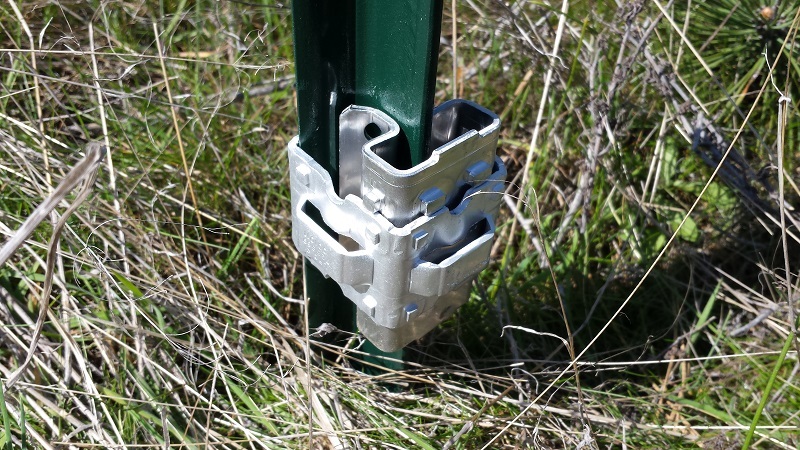 The type of fencing that you use is going to depend on what you’re keeping in/out, what resources are available and what part of the country you’re in (following local tradition). 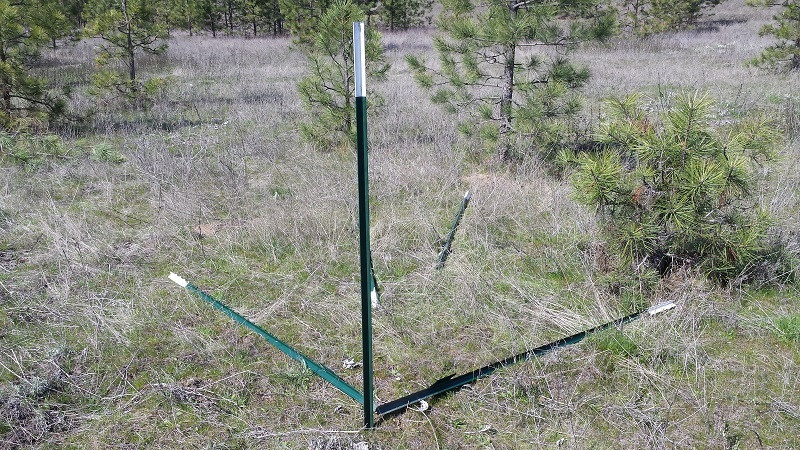 We’re going with t-posts and field fencing for our pastures. 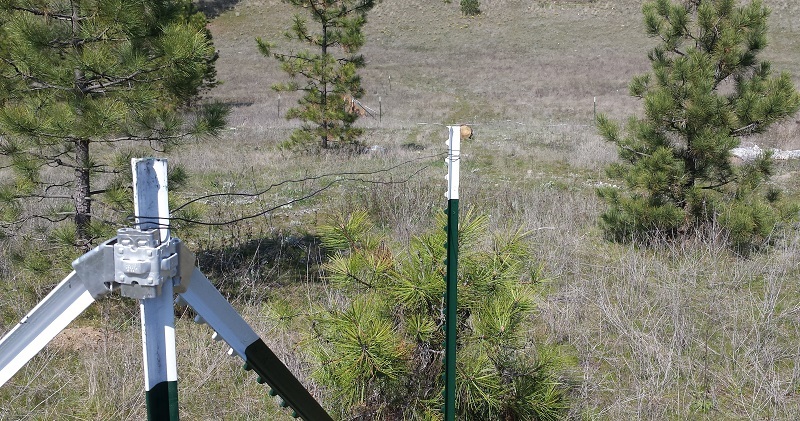 We also put a single line of electric along the bottom of the fence. The ground here is very sandy. Nothing stays straight/anchored for long in the soil. We’ve found that railroad ties, buried 3 feet in the ground will lean with the weight of the fence come Spring time. They aren’t working as corner anchors for us. So, I thought I’d try t-post corners. 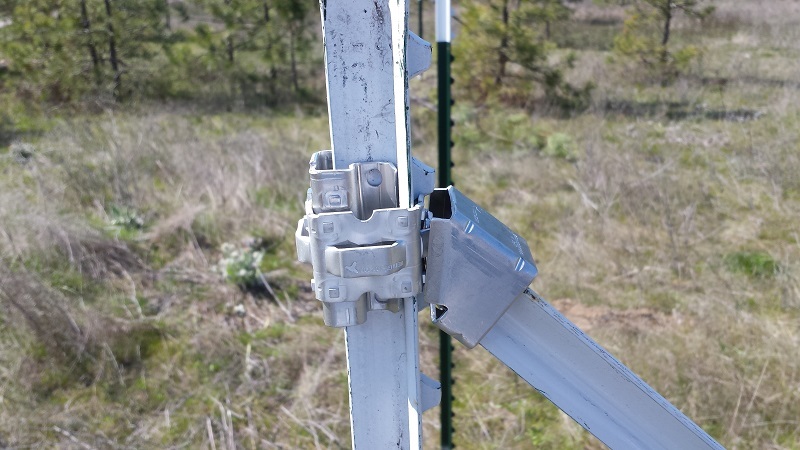 Even if they lean, they’re easier to re-install than a railroad tie. 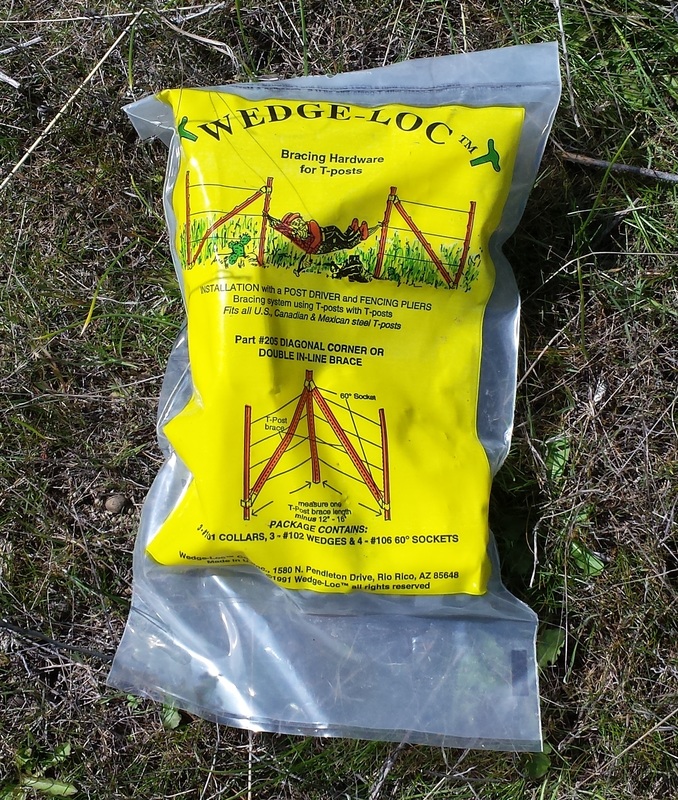 The brackets are Wedge-Loc brackets. The first thing to do is drive in a t-post in each corner of the planned pasture. You’ll need an additional four t-posts at every corner. 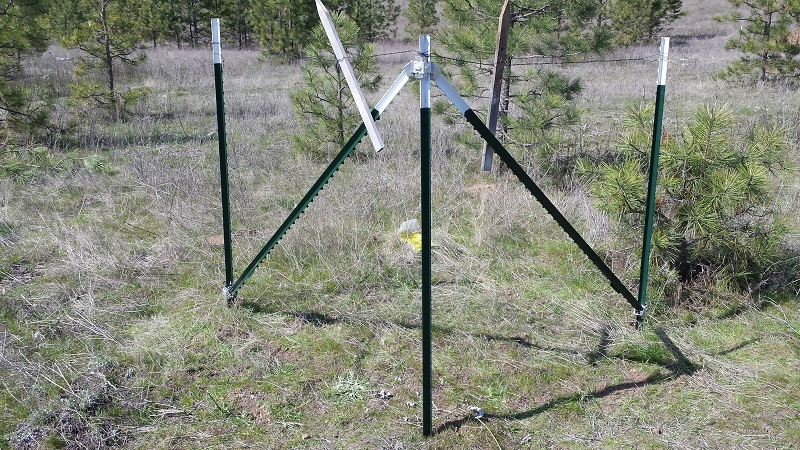 Take two t-posts and lay them down at the corner t-post, pointing in the direction of the adjoining corners. Do your best to line them up accurately. Drive in a t-post 12 to 16 inches short of the tips of these t-posts. 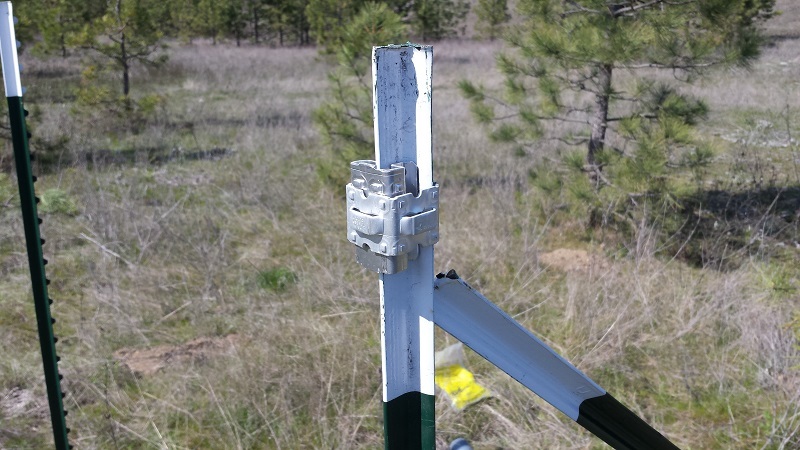 You might be worried about the orientation of the t-post. The important thing is that they face the same direction or are right angles to each other. 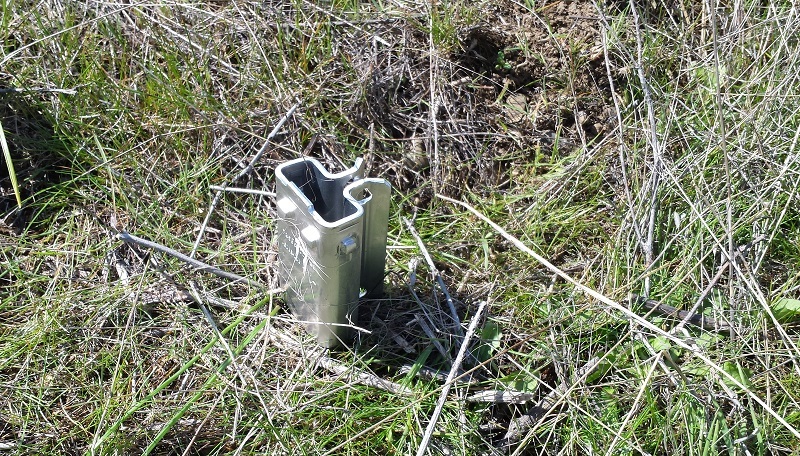 If a t-post goes in the ground and twists, you can twist it back with a pipe wrench. 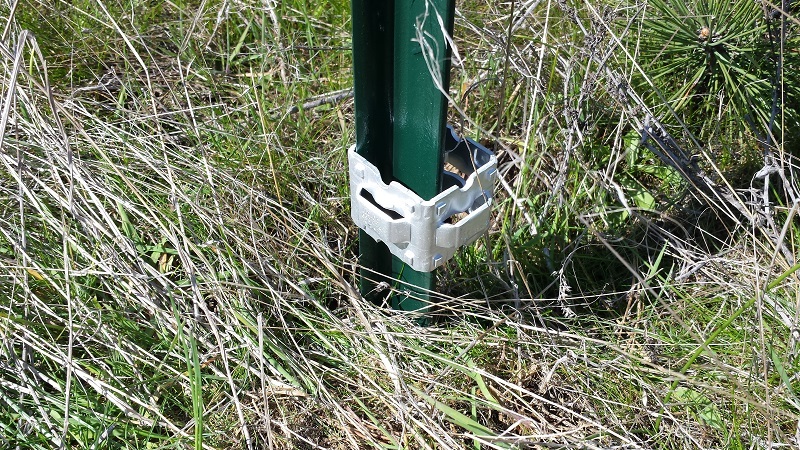 Slide a collar on one of the side t-posts (not the corner t-post). You’ll figure out that the collar slides easily if you orient it right. Slide it all the way down until it’s above the bottom two “bumps” on the t-post. Turn the color until it sits square on the post like below. Slide the wedge in underneath the collar. You may need to rotate the collar if the wedge won’t fit. If that doesn’t work, then “convince” it to fit with hammer and screwdriver. The slots on the side of the collar are there to accept sockets. I forgot to take a pic of the lower collar with a socket, but you should be able to figure it out. 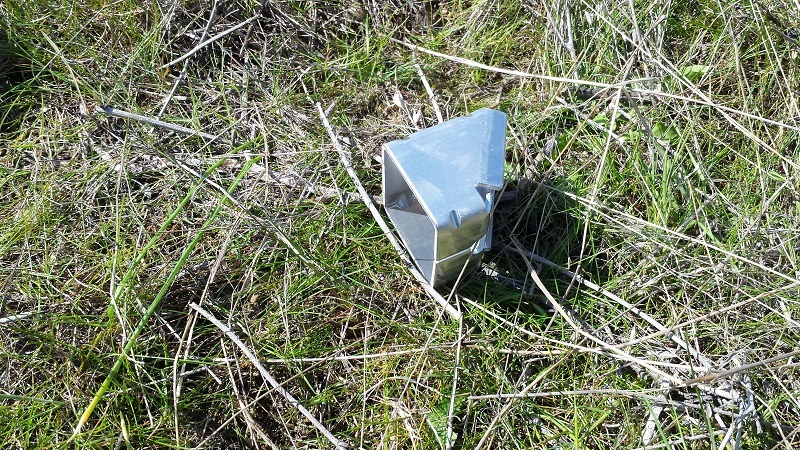 Slide a socket into the collar facing the corner t-post. Go ahead and stick a t-post into the socket hole. 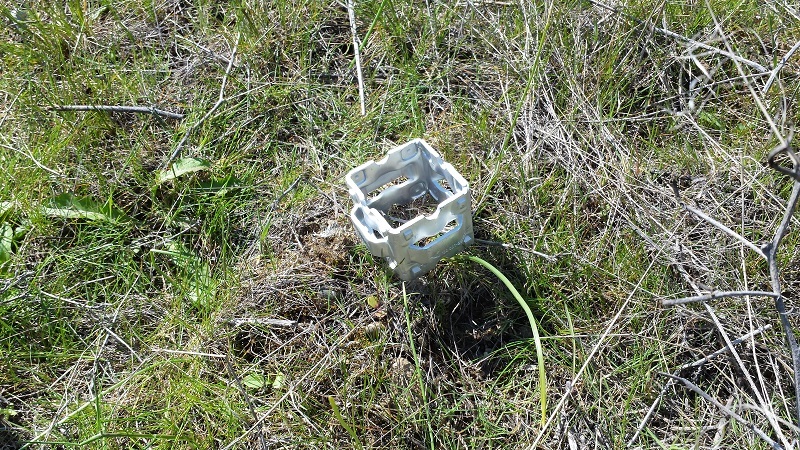 Below is an example of the socket connected to the collar on the upper end of the support. Time to add a collar to the corner t-post. You can see approximately where it should go-where the support t-post hits it. Same process but the collar goes on upside-down. Now, do the other side t-post like you did the first. You’re all done unless you want to wire the tops of the side -t-posts to the corners. Time to install the field fence. You may find that the side posts lean in toward the corners. That should go away as you install the fencing. 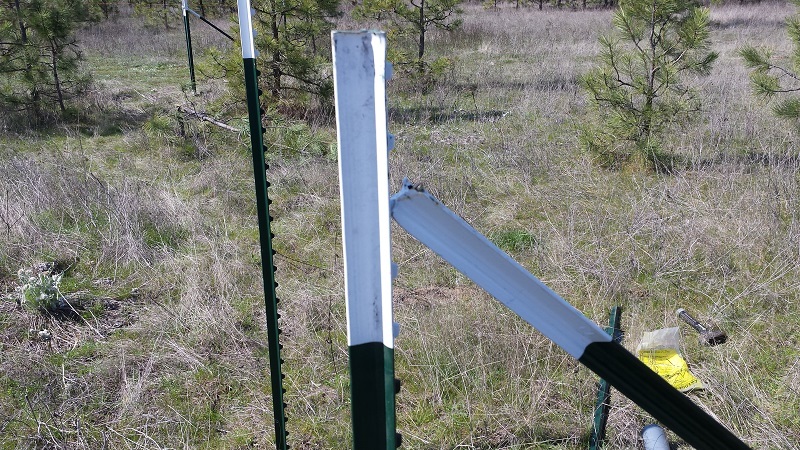 I use the side posts as anchors when I use a come-along to pull the fence tight. This holds them in place.